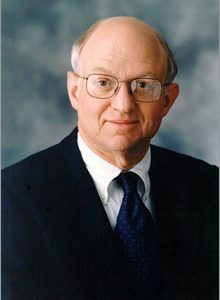 Martin Feldstein, Harvard professor and expert speaker on the global economy, penned an interesting piece in the FT Online opinion pages today. For him, the Fed’s QE3 policy of buying unlimited mortgage-backed securities risks raising inflation and inflation expectations without solving America’s chronic unemployment problem. The danger is that, if QE3 does result in this scenario, Congress is unlikely to allow the Fed to raise interests rates because unemployment remains high, leaving it without one of its key levers to tackle incipient inflation. Similarly, if the ECB starts buying Spanish and Italian bonds on the secondary market in return form fiscal reforms, the danger is that, having started this process, it will be unable to back out even if Spain and Italy renege in part on their promises of restructuring. In both cases, the Fed and ECB risk making themselves hostages to their own bold policy decisions.